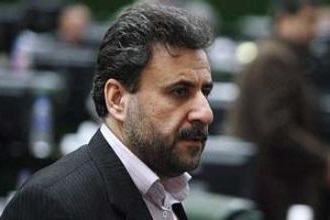 IFP – An Iranian lawmaker says US President Donald Trump is not eligible to chair the upcoming meeting of the United Nation Security Council because no one, after Hitler, has violated so many treaties and international conventions as he did. Heshmatollah Falahatpisheh, the Chairman of the Iranian Parliament’s National Security and Foreign Policy Commission, believes after German strongman Adolf Hitler, who committed various crimes and violated numerous international treaties, no one has violated so many conventions as Trump did. He pointed to Iranian President Hassan Rouhani’s upcoming trip to New York to attend the UN General Assembly, and said he must question Trump’s presidency over the UN Security Council meeting in his speech. He added that experts will prepare President Rouhani’s speech, but a few issues must be addressed seriously in Rouhani’s speeches and meetings at the UN. At this year’s summit, the president should outline this position of Iran and state the costs that Iran has paid for it, underpinned Falahatpisheh. President Rouhani should articulate Iran’s expectations from other countries in the world, and emphasise that they should not follow the sanctions of the United States and appreciate Iran’s multilateral approach, stated the lawmaker. He added that the president should also show the authority of the Islamic Republic of Iran at this summit. Falahatpisheh’s remarks were in reaction to criticisms against President Rouhani’s visit to New York, which began with the comments of Ayatollah Ahmad Jannati, the chairman of the Assembly of Experts a few days ago. He was strongly opposed to a possible meeting between Hassan Rouhani and Trump on the sidelines of the United Nations General Assembly. Following these remarks, Mahmoud Vaezi, the president’s chief of staff, called such statements “baseless”. However, Rouhani recently said that Iran receives a message once in every two weeks from the United States to negotiate. “On the one hand, they are putting pressure on the Iranian nation, and on the other hand, they send messages that we can hold talks,” said Rouhani.